Join us in the neighborhood on August 18th with our some of our favorite businesses within our community. In addition to a day of music and food, enjoy an array of activities and programs. Deep Eddy Vodka and neighborhood favorite Amoeba Records will host Deep Eddy Vodka's Music Mixer, where attendees can cool down with delicious vodka slushies, peruse used vinyl at Amoeba’s Pop Up Record Shop and dance to their heart's content at the adjacent Silent Disco. Guests are encouraged to buy some vinyl for the DJ to spin for the audience. Take your chance to be the champion of lip syncing in between sets at the main stage. Contestants are pulled from the crowd with the chance to move to the finals and win a grand prize. Showga will be bringing yoga set to live music on the main stage and this healthy music hour will be presented by SAVA, a marketplace for curated cannabis goods. Mutiny Radio, on 21st and Florida, will play host to a SAVA delivery hot-spot for anyone who wants to order for delivery during the festival. Delivery on Saturday to Mutiny Radio gives them access to $1 pre-rolls and free delivery. Xfinity will be joining forces with Family Dog Rescue to bring a dedicated mini dog park for our four-legged friends, providing a space for adoptable pups to play about. Don’t forget to donate to Family Dog Rescue and grab a one of a kind caricature of you and your pup before you leave the party! For the sixth year, we tip our hats to the vibrant arts community and deliver an interactive collection of creatives we affectionately refer to as Art Row. Take a stroll down Alabama Street and immerse yourself in our local art world with exhibitions, a community mural, family activities and more. Help create a community mural one square at a time. 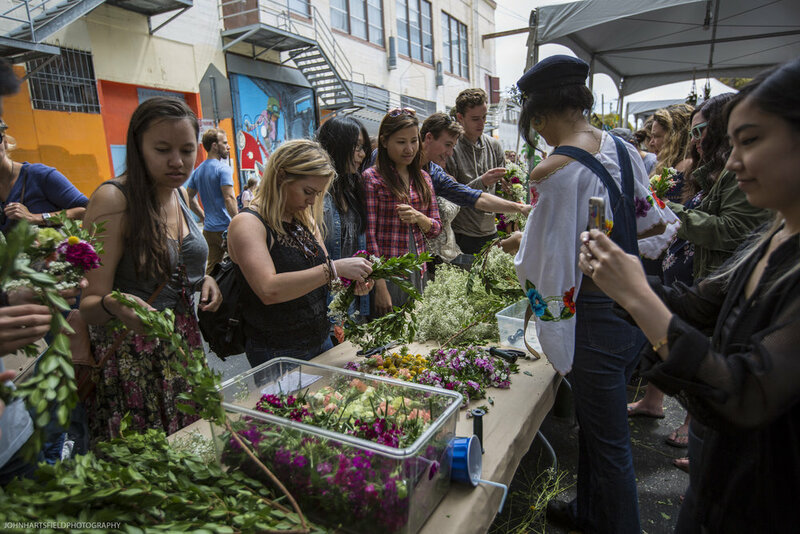 crafts include tiny terracotta, kokedama, block printing, and hair chalk, and more.